This book is actually a prequel to the Grant Us Grace series, and I highly recommend reading it! It takes place several years before the other books, but gives a great background for the whole series. The other books in the series have been great, I still have one book left to read, but the Joint Venture characters are in the other books I have already read, so I absolutely loved reading this prequel. I feel so lucky to have found Elizabeth Maddrey, her books are definitely faith based, and have great, heart felt romance in them, but she is also not afraid to write about topics that are difficult for most people. There is a lot of pain and insecurity when it comes to being cheated on. A person feels like It must be their fault, even if it is not, when their significant other strays outside of the relationship. This can cause someone to keep trying to exam themselves to figure out where they “went wrong” and can really mess with your head and heart, believe me, I am speaking from experience here. Laura and Matt are great characters and I loved them from the very first! It’s great to start a book where you like both the hero and heroine right away and can root for them to come together. There are many Christian fiction romances where one (or both) of the main characters must struggle through a lack of faith situation, but that is not the case in Joint Venture. Both Matt and Laura are firmly secure in their trust of God, which is refreshing for a novel in this genre. Laura has a lot of issues to deal with besides a cheating ex fiancé, she has a meddling and somewhat manipulative mother (I can so relate) plus a new business she is starting from the ground up. So when she starts to have feelings for her best friend and new business partner, it really throws her for a loop. Elizabeth Maddrey takes us all on a woderful journey of healing, dealing and forgiveness. I, for one, take away a feeling of being a better person for having read this book! She began writing stories as soon as she could form the letters properly and has never looked back. 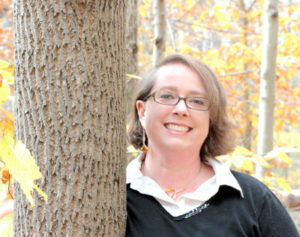 Though her practical nature and love of computers, math, and organization steered her into computer science at Wheaton College, she always had one or more stories in progress to occupy her free time. This continued through a Master’s program in Software Engineering, several years in the computer industry, teaching programming at the college level, and a Ph.D. in Computer Technology in Education. When she isn’t writing, Elizabeth is a voracious consumer of books and has mastered the art of reading while undertaking just about any other activity. Elizabeth has graciously offered to have a free ~*Giveaway*~ to one of our blog members!! Simply comment on this post to be entered to receive the ebook from Elizabeth Maddrey! Giveaway is open for seven days from today and will be notified via email! Oh, it is so nice to hear of a book where the main character isn’t struggling in his or her faith. The book sounds wonderful. I, too, can relate to the manipulative mother part. It will be interesting to see how the characters deal with her in the story. I know, Shamekka, right? Don’t get me wrong, I like reading about the struggles too, but it is nice to have a break from that once in a while! I think there’s some part of every daughter that relates to a manipulative mom, even when their mom is actually pretty great. 🙂 (I have to constantly remind my mom that she’s NOT in my books). Thanks for stopping by! Ooh! Sounds like a great book! Love Elizabeth Maddrey’s writing and characters! I have a appreciated everything I have read of Elizabeth’s as well! Love the premise! You don’t read many books that take place in a hair saloon. I bet stylists are a bit like counselors…they probably get told way more than they’d like to hear! it was a lot of fun, and also watching a business get started from scratch! As a former business owner myself, I enjoyed that aspect of it a great deal! I have to say, the fact that I adore my stylist definitely influenced my desire to write about a salon! Elizabeth, I just love the books of yours that I have. Looks like I will be adding another one. I love faith based books and you have a way of incorporating them in your books. Thank you for that. I relate with this story. It’s hard to let go of a relationship you thought was going well, to finding out it was wrong to begin with. Hard lessons to learn. I related to that aspect as well, Kathy, it is always nice to recognize the struggles characters go through and cheer them on! Oh yay! Thank you for reading. It is definitely hard to let go of those hard relationships. I am thrilled to find another author who writes faith-based fiction. Thanks for sharing! Thank you for reading the review! 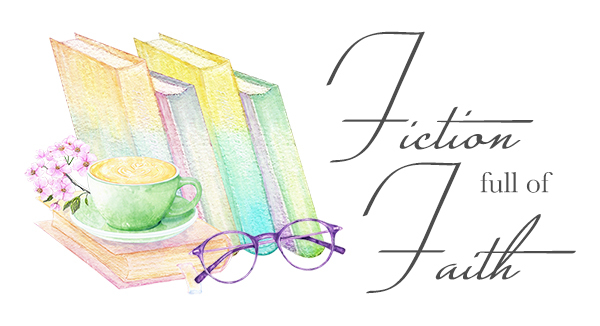 I am so happy to be able to promote these wonderful Faith based fiction authors! Thanks for stopping by to visit Paula! She’s such an encouragement with her reviews – I’m very glad she decided to start a blog! Thank you, Elizabeth! I am pretty happy about it too!! I appreciate all your support, and fans can be on the lookout for our Coffee talk coming up soon!! Oh yay for new readers 🙂 Hope you get the chance to read. Thank you, Lual! Glad you entered! I don’t think I have read this book. Paula,I love your new blog. Thank you, Linda!! I am so glad I decided to jump into this adventure!! This book sounds awesome! Would love to read it! Congrats Elizabeth! Thank you for entering, Paty! Hope you get the chance to read it! I have always been drawn to books where characters are struggling and have overcoming. It is also nice to just read about where people are living in flush Valley and not the desert. Me too, I enjoy the journey to Jesus! But it is a nice break now and then to have a story where both characters are in a good place with God! I am so excited to announce the winner of Joint Venture….Lual Krautter !! Congratulations, Lual!! Elizabeth will be sending you an email shortly!